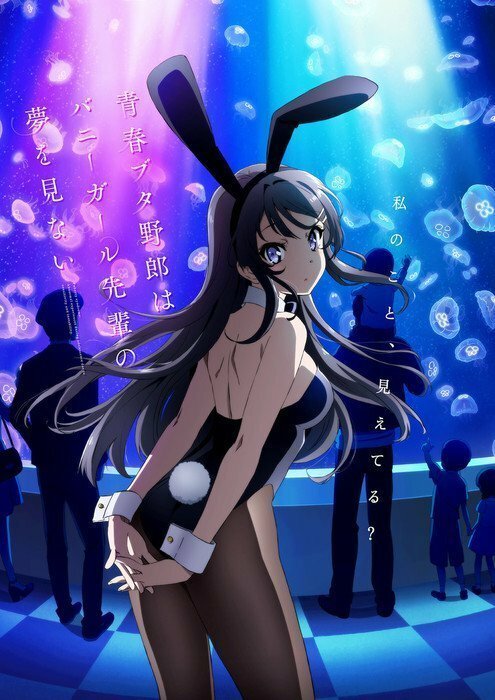 TV Anime Seishun Buta Yarō wa Bunny Girl-senpai no Yume wo Minai (The Young Pig-Rascal Isn’t Dreaming of a Bunny Girl Upperclassman) began streaming the 1st promo video on the 27th of July 2018 and the 2nd promo earlier this week. And now we have a premiere date. The TV anime will premier on 3rd October 2018. The anime is an adaptation of Hajime Kamoshida’s Seishun Buta Yarō Romance Comedy light novel series. Along with the PV, a Key Visual featuring the six main heroines also made a release (above). The promo video introduces the ending theme song for the anime series preparing to premiere in October. 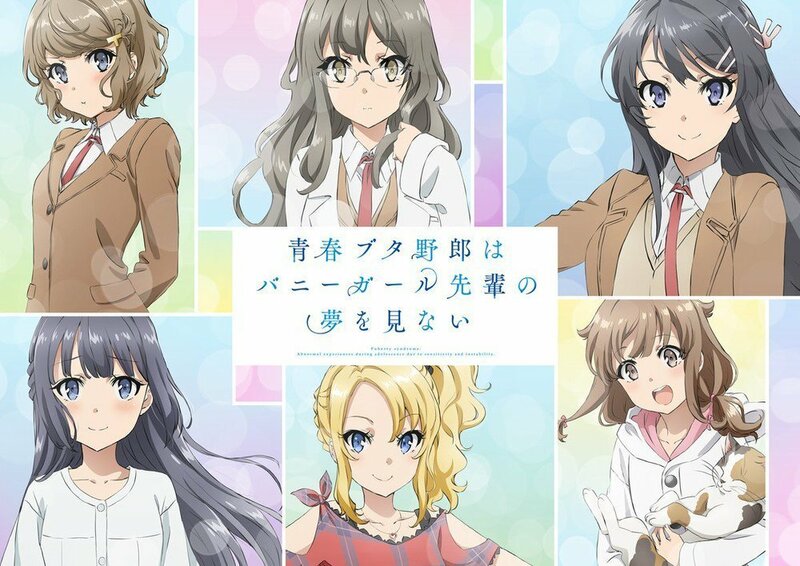 The six main heroines are seen singing the ending theme song “Fukashigi no Karte” (Mysterious Chart). The song will receive a CD single, which ships to retailers on October 3. The story centers around a high school student Sakuta Azusagawa and his encounter with a rumored mysterious phenomenon – puberty syndrome. One day he suddenly finds a bunny girl in front of him. Soon he learns that the girl is Mai Sakurajima, his upperclassman and also a famous actress currently on hiatus. To his surprise, none other than him can see her as a bunny girl. To solve this mystery he begins to spend time with her and consequently learns her secret feelings. Furthermore, other heroines who have this mysterious syndrome start to appear before him. Sōichi Masui is serving as the director for the series at A-1 Pictures’ studio CloverWorks. While Masahiro Yokotani is in charge of series composition, Satomi Tamura is bringing out the character designs. Tamura is the chief animation director along with Akira Takata. Also, Kazuya Iwata is serving as the assistant director and Yukihiro Shibutani as the art director. Kadokawa is publishing the novel with the same title, in Japan since April 2014 and series has a total of 8 volumes to its credit. A manga adaptation of the novel began in January 2016. The series seems to have a unique plot. It has a good rating on MAL. So, it is to be seen how this anime will fare when it gets a release this October. If you look forward to this series do let us know in the comments section below.